Look at the theme (or general website layout) everyone else is using in your niche- and choose something else. Inject your personality into your website. Look for things others don’t include in their website, and include it on yours. Look at other people’s packages and see how you can make yours different. OWN whatever you do and get super specialized. Look for small ways to make your website different. Tabitha Emma: Tabitha is the designer I mentioned who keeps her website really personal. Check out her About page as a great example! The Suitcase Entrepreneur: The podcast mentioned in the audio lesson. If you love travel (like me!) you'll love this. Is my website an accurate reflection of who I am now or who I was years ago? Does my website attract the right clients with the right budget? Does my website have a high or low bounce rate? How often should you redo your site? I discourage you from redoing your site willy nilly unless you have a good reason to do so, like your site isn’t attracting the right clients etc. But guess what? Your business is yours. YOU own it. You’re your own boss, you don’t have to listen to me or anyone else. If you want to redo your website a few months after you already did, do it if that’s what you really want to do. Just beware that clients and blog readers will get confused if you keep redesigning. Consistency is key. How can you design a website around your goals? This is the most important part of this entire lesson. If you don’t design a website around your goals, you’ll need to redesign your website again very soon. I wrote out my top 3 website goals. I want you to do the same, whether you’re redesigning your site or not. It will help you see if you need to. Wireframes: Head this way to download a gorgeous (and free) set of wireframes. Join my affiliate program. If you want to get started in the world of passive income but you're not quite ready to launch your own products, join my affiliate program! You'll receive a 50% commission on every sale made through your link. Join Amazon Affiliates. Did you know that you can make money by recommending any Amazon product to your audience? All you have to do is join their program! Chris Brogan: Chris sells books, courses and also speaks! He's a great example of someone who makes money from products. Jason Zook: Jason has created all kinds of products in his lifetime. His latest adventure was selling his future for $1000. Interested? Social Splash: Did you hear? I pre-launched my ebook this month! It's called Social Splash, and it will help freelancers get clients through social media. Last year I went from zero clients to being booked out for six months, and it was all down to social media marketing. When I stepped up my social marketing game, I saw results. Big results. Social Splash if my first real passive launch (since TSC isn't hugely passive), and I'm hoping to see good results from it. I'll take you behind the scenes of my book next month! Pat Flynn: Pat Flynn is the owner of Smart Passive Income. He pretty much started the passive income craze in the online world. His SPI podcast is one of my absolute favs! If you want to learn about making passive income, check it out. Stress Less & Impress: This course* is one of the best courses I've ever invested in. 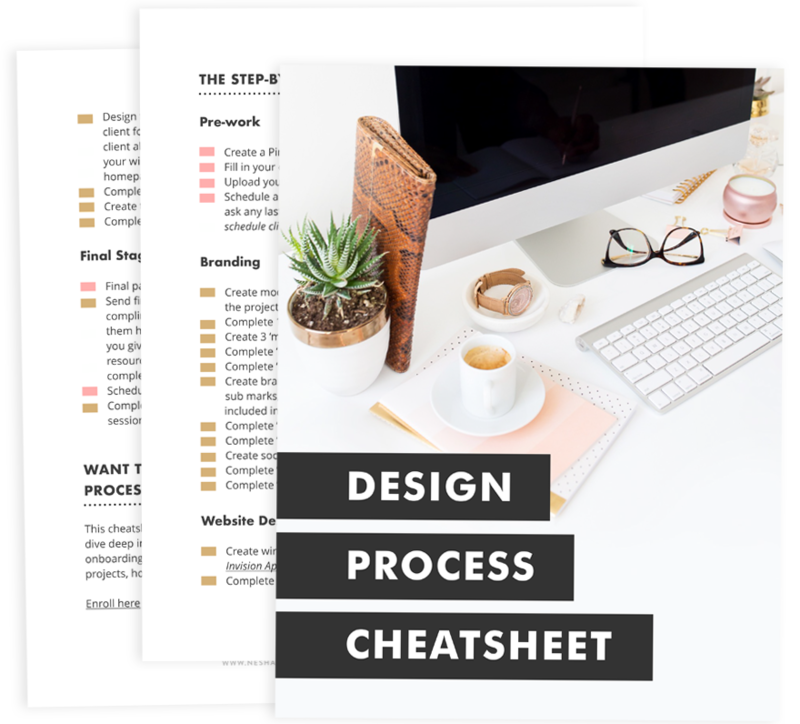 It helped me build systems and processes for my client work when I first started freelancing. When I first invested in this, I was a new *broke* freelancer and the cost of this course made me feel a little sick. But I earned the money back in two weeks because Leah has a kickass affiliate program her customers can join. If you're looking for to start earning affiliate income, start with this course. *All links with an * next to them are my affiliate links. Your 90 day plan worksheet: Click the link and it will immediately download. You can then print out the worksheet and fill it in! The 12 Week Year: This book is written by Brian P Moran and it was the book that introduced me to the concept of 90 day plans. It's still my absolute favourite business book. If you like the idea of 90 day plans and you want to develop your strategy, buy the book. Brian also offers a free 5 day course on his website that will help you understand 90 day plans a little more if you're dubious about them at the moment.